Fred Pinder This is Fred Pinder, the man that introduced me to the "Big Cypress Swamp" and enjoyment of the outdoors. Fred lived across the street from my family, in the 50's, 60's and 70's, as we grew up in Miami. I have fond memories of his family and mine boating and skin diving in Biscayne Bay. 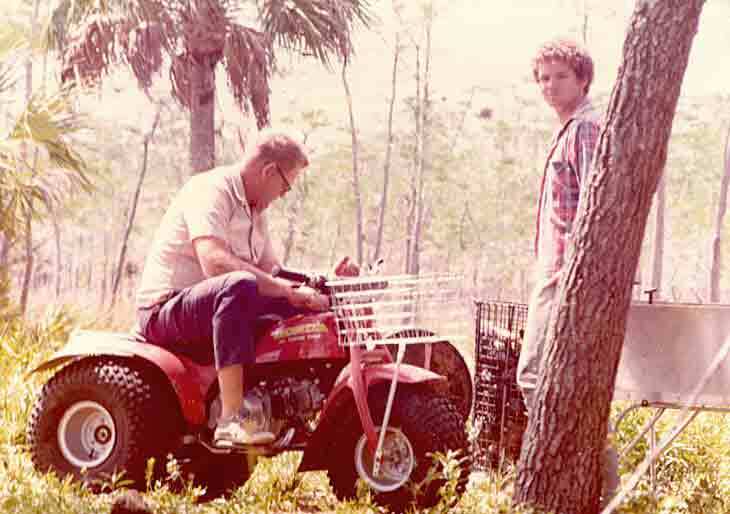 In the early 70's, Fred and his son Danny, invited my brother and me to go to his camp in the Big Cypress Swamp. This was an adventure involving air boats and swamp buggies and developed for me into a love of this area. Fred took my brother and me under his wing and over several trips to his camp, taught us about deer and outdoorsmanship. 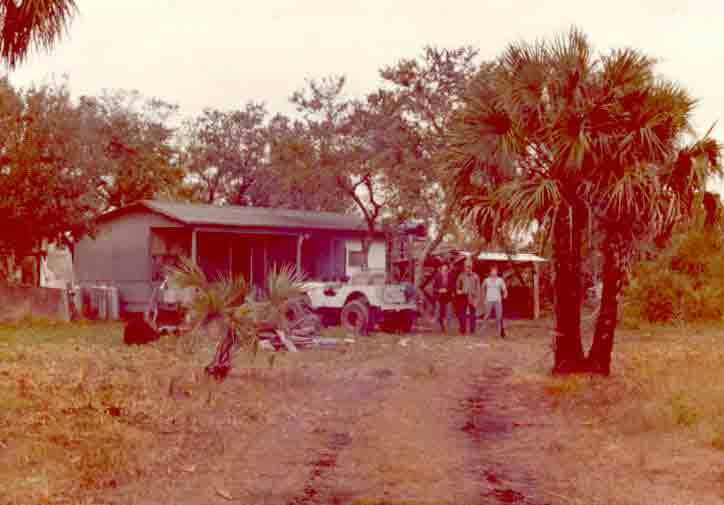 I was most impressed by the camaraderie of the outdoors men and fellow camp owners that Fred knew. That camaraderie has guided me in my relationship with the people that visit camp Six Pack and the other camps near camp Six Pack.